I have a love-hate relationship with architecture, the field I'm in, the job I'm currently doing. We have this relationship waay back when I was in primary school. Since I'm good at drawing, might as well say that I'm the only one who can draw almost perfectly in my class, I've been dreaming of becoming an architect. The three section of 'cita-cita' in the report card, architect was always my first choice, little did I know it'll be one hell of a ride surviving to graduate. 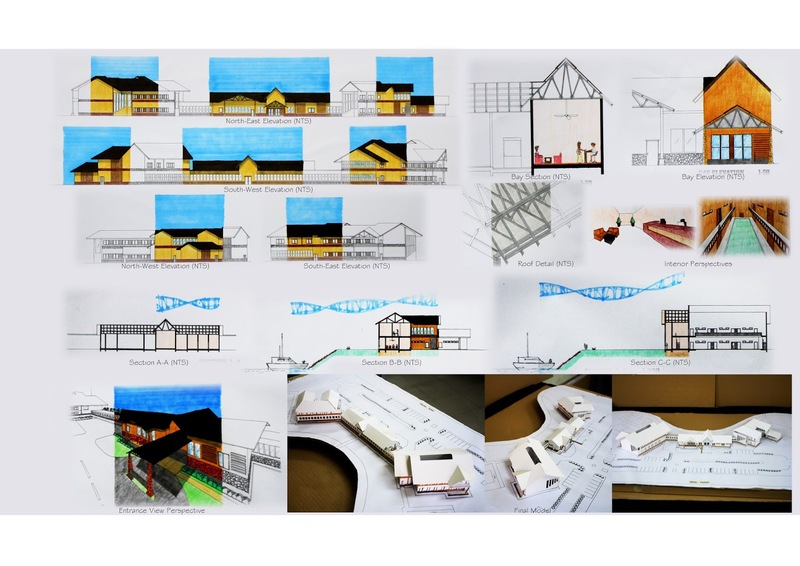 The love and ambition of being an architect grew stronger for the first three semesters during my degree studies as I loved the assignments and all as we basically played with our creativity of sketching, painting and building models. 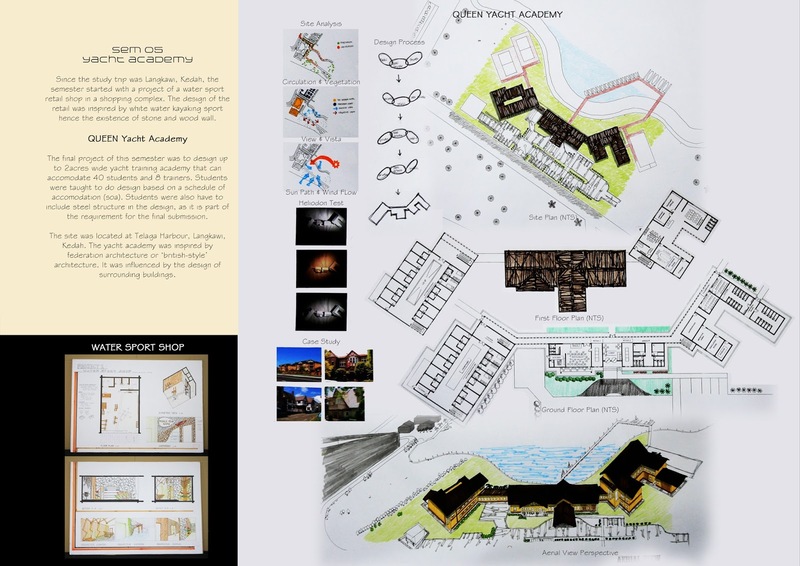 Then came the first crisis on semester four, where we started to learn real architecture, designing spaces and took construction into consideration. That was when I started to hate architecture, I can't see the future of me being an architect as I know now that it'll be a torture. The table then turned when I started working. I was not an excellent student, I was far from average but working life, the real deal, made me understands architecture deeper so I'm having fun as I love my job. But thinking of continuing master study in architecture suddenly exhausts me even though I'm yet to start, making way for the hate again lol. Here is my favourite project I did, in semester five, as I got the best grade out of the eight semesters I went through here. I hope I could overcome the love-hate relationship I'm having with architecture as I know deep down in my heart, the love is stronger. Are you having the love-hate relationship with the field you're studying/working ? I always fancy architectural's students to be honest. Used to see 'em at the studio after my late night discussion, still working on their project :) Respect. That's so sweet of you, complementing architecture students, thank you ! wow that's nice. Dulu cita-cita memang nak jadi arkitek and fashion designer but I don't have talent in drawing so dah besar panjang nie rezeki jadi banker even mula-mula tak suka tapi lama-lama alhamdulillah it's my rezeki. rezeki masing-masing kan and actually it doesn't have to be, do what we love but it's more important to love what we do. yea I do want to design my own house one day. kalau nadia nak hire Lya pon dialu-alukan hihi. Wah nice work Alia. Hmm, Mai pun pernah rasa love-hate relationship dengan course sendiri, i love bio since form 4, bila masuk diploma, rasa macam salah ambil course sebab tak suka masuk lab, lama-lama macam dah okay balik. hahahahaha. I'm having this kind of love-hate relationship too. I don't really like my science classes unlike any other classes. I've been struggling hard to love them since last year but there''s no much changes. There's a bit regret for not taking the art stream though. However, I hope I can achieve well. Just believe that everything happens with a reason and He knows what's best for us. Also, just grab it if opportunity to go for art stream occurs in the future, it'll never be too late. Hope you'll achieve well on your study, good luck ! I think the hardship would always threw people of balance. Do I love it or not. It's kinda the ultimate test for your love. So, I'm sure once you get it sorted you'd realize, it was just some bumps on the road! Well this is so true. The time we face hardship, it actually doesn't mean that we hate it. It's just a temporary feeling as once we overcome the hardship, we'll be in love of it again.